Mark Tinker, a Banker Lopez Gassler P.A. appellate attorney practicing in the firm’s St. Petersburg office, recently obtained the reversal of an order denying our client its contractual right to arbitrate. 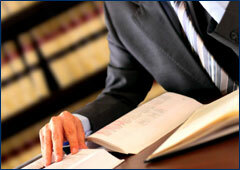 The plaintiff signed an admission agreement which contained an “optional” arbitration clause. It stated that the parties agreed to submit any disputes to arbitration, but that if they wanted to opt out of that agreement they could do so by drawing an X through the paragraph and initialing by the X. The plaintiff decided not to do so, but when she later had a fall and claimed injuries she nevertheless filed a lawsuit. Our client immediately demanded arbitration pursuant to the contract. In response, the plaintiff’s lawyer handed her a photocopy of the agreement and told her to X through it and initial. She did so, and he then claimed that – since the contract did not specify when she could opt out – her post-incident, post-lawsuit, and even post-demand decision to do so was valid. The trial judge agreed, so BLG filed an appeal. The Second District Court of Appeal has now reversed that decision. Contracts are complete upon execution, and one side cannot unilaterally change a term without the other’s consent.